The design of the Website and all trademarks, logos, documents, databases, graphic representations, content, and other material displayed on or available through the Website, without limitation, are the property of AAE, or used by AAE with permission, and are protected by copyright, trademark and other laws as applicable, whether or not a notice of copyright, trademark, or other proprietary rights appears on the screen displaying the information, and may not be used except as permitted in these Terms or with prior written permission of the AAE (see below). Users of the Website may save and use information contained on the Website only for personal or other non-commercial, educational purposes; requests to use any information, content or other material provided on the Website can be made by contacting the Actuarial Association of Europe, ATTN: Secretariat, 1 Place du Samedi, 1000 Brussels, Belgium or via email at secretariat@actuary.eu. You may not in any way reproduce or publicly display, perform, distribute or otherwise use, any of the information or materials displayed on or available through the Website for any public or commercial purpose, without limitation. You may not create any derivative work of the Website or decompile, dissemble, transcribe, store in a retrieval system, reverse engineer, or otherwise attempt to derive source code, underlying ideas, algorithms, structure, or organization of the Website. You hereby agree not to use or attempt to use any engine, software, tool, agent or other device or mechanism (including but not limited to any type of spider, web crawler, or robot) to compromise, alter, render unavailable, and/or extract information from the Website. The AAE attempts to ensure that information on the Website is complete, accurate and current. Despite such efforts, the information on the Website may occasionally be inaccurate, incomplete and/or out of date. The AAE makes no representation or warranty as to the completeness, accuracy or how up to date any information on the Website is. The information, opinions, and recommendations presented within the Website are for general informational purposes only. Such information should not be considered professional advice and is not intended to replace consultation with a qualified professional. Unless specifically stated otherwise, the AAE does not endorse, approve, recommend, or certify any information, product, process, service, or organization presented or mentioned on the Website, and information from the Website should not be referenced in any way to imply such approval or endorsement. Links or pointers connecting the AAE Website with other Internet sites are provided as a courtesy only and do not imply, directly or indirectly, the endorsement, sponsorship, or approval by the AAE of the linked site, the organization or individual operating the site, or any product, service or organization referenced in the site. In general, any site that has an address (or URL) that does not contain “actuary.eu” is a linked site. The content of any linked site does not necessarily reflect the opinions, standards or policies of the AAE. The AAE assumes no responsibility or liability for the accuracy or completeness of content contained in any linked site or for the compliance with applicable laws of such linked sites. The membership data may not be downloaded, republished, resold, or duplicated, in whole or in part, for commercial or any other purposes without limitation, or for purposes of compiling mailing lists or any other lists of actuaries. 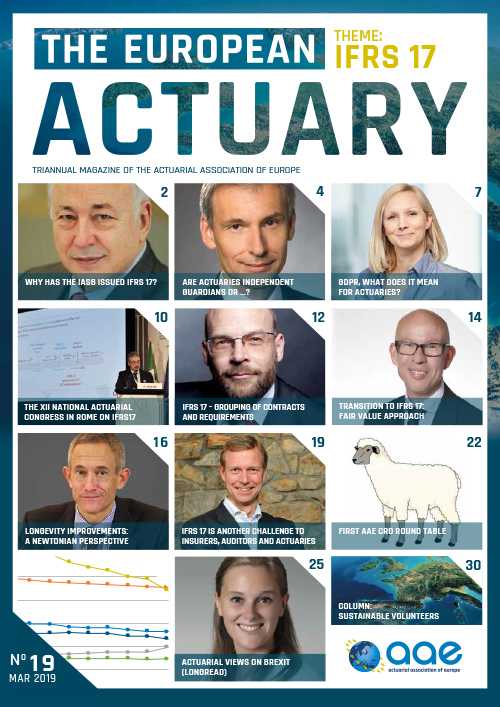 Although individual actuaries are encouraged and permitted to view their database listing and to update it online, the Actuarial Association of Europe (AAE) does not warrant the accuracy, completeness, or timeliness of the information contained in this database. In no event shall the AAE be liable to you or anyone else for any decision made or action taken by you in reliance on such information. The purpose of the AAE Twitter Account (“Twitter Account”) and the AAE YouTube Channel (collectively, “AAE Social Media Accounts”) is to provide an engaging forum in which the AAE and/or its leadership not only share timely information, but also have a mechanism to informally solicit feedback and encourage discussion on AAE activities. All users of the AAE Social Media Accounts (“Users”) are encouraged to participate in the online discussions through comments and posts of their own. Users may not use the AAE Social Media Accounts to promote or provide instructional information about illegal activities or for any purpose that may be illegal. Users may not use or attempt to use the AAE Social Media Accounts for commercial purposes. Submissions may not include advertisements for goods or services, solicitations, “spam”, chain letters, surveys, pyramid schemes or the like. Users are not precluded from posting promotions for actuarial related information and events in the field of actuarial science. Submissions should facilitate constructive discussion regarding the actuarial profession and not to air or seek resolution of personal disputes with the AAE, with other members, or with other companies or organizations. AAE reserves the right to monitor and administer the AAE Social Media Accounts and, at its sole discretion, to remove any Submissions to the AAE Social Media Accounts. The AAE also reserves the right to disallow the use of any particular screen name or email address, or to terminate any User’s posting privileges at any time, including individual and group postings. When using the Twitter Account or the YouTube channel, Users must also comply with the terms identified in the Twitter User Agreement found here, and the YouTube Terms of Service found here . USE OF THE WEBSITE IS AT USER’S RISK. THE INFORMATION, MATERIALS AND SERVICES PROVIDED ON OR THROUGH THE WEBSITE ARE PROVIDED “AS IS” WITHOUT ANY WARRANTIES OF ANY KIND INCLUDING BUT NOT LIMITED TO WARRANTIES OF MERCHANTABILITY, FITNESS FOR A PARTICULAR PURPOSE, OR NON-INFRINGEMENT OF INTELLECTUAL PROPERTY. THE AAE DOES NOT WARRANT THE ACCURACY OR COMPLETENESS OF THE INFORMATION, MATERIALS OR SERVICES PROVIDED ON OR THROUGH THE WEBSITE. THE FOREGOING EXCLUSIONS OF IMPLIED WARRANTIES DO NOT APPLY TO THE EXTENT PROHIBITED BY LAW. Moreover, AAE makes no warranty that it’s Website, or the server that makes it available, is free of viruses, worms, or other elements or codes that manifest contaminating or destructive properties. We assume no responsibility nor liability for any damages to, or any viruses that may infect, your computer, telecommunication equipment, or other property caused by or arising from your access to, use of, or browsing the Website, or your downloading of any information or materials from the Website. THE AAE, ITS EMPLOYEES AND OFFICERS EXPRESSLY DISCLAIMS ANY AND ALL LIABILITY OR RESPONSIBILITY FOR ANY DIRECT, INDIRECT, INCIDENTAL, SPECIAL, CONSEQUENTIAL OR OTHER DAMAGES ARISING OUT OF ANY USER’S USE OF, REFERENCE TO, RELIANCE ON, OR INABILITY TO USE, THE WEBSITE OR THE INFORMATION PRESENTED ON THE WEBSITE. The Website and these Terms shall be governed by the laws of the Kingdom of Belgium. 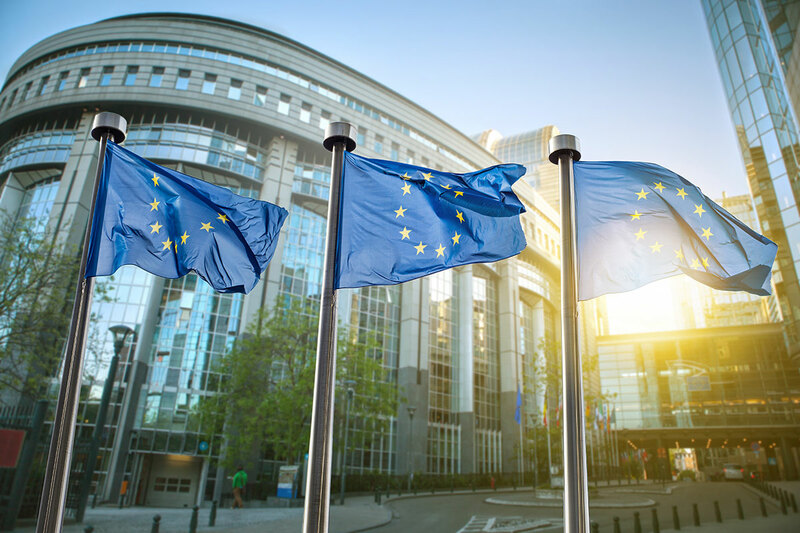 By visiting and using the Website, User consents to the jurisdiction of the Belgian courts and User agrees to accept service of process by mail. User hereby waives any and all jurisdictional and venue defenses that might otherwise be available. These Terms may be revised at any time. Users should visit this page from time to time to review the then current Terms. Certain provisions of these Terms may be superseded by legal notices or other more relevant terms available on the Website, as the case may be.